If using dried kidney beans, soak them overnight and cook at high heat for at least 15 minutes. Turn heat down and boil for another 45 minutes. Cook the kale for about 20 minutes until tender. Fry the onion in the oil for 5 minutes then add the paprika, garlic, baked beans, kidney beans and sweet corn and heat through for another 5 minutes. And that’s it! 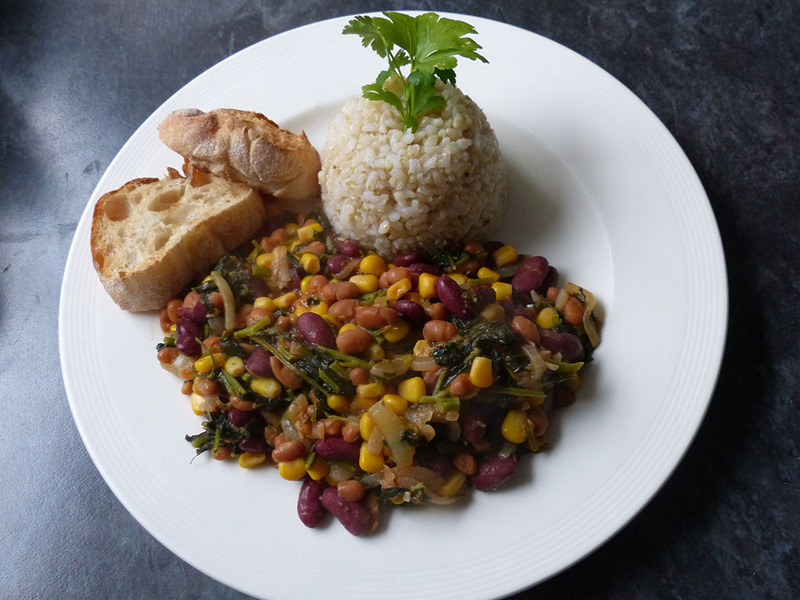 Serve with organic brown (basmati) rice for a complete (vegan, dairy free and wheat free) meal. Or serve with toasted ciabatta, but that will, of course, add gluten.